Video games have been blamed for a lot. Murder, shootings, car theft. You name it, people have blamed it on games. This is a new one. You got District 9 in my God of War 3! You got God of War 3 in my District 9! I know the title makes this combination seem like a strange crossover game or movie, in a perfect world this would be true, and awesome. Instead we live in the crappy real world where our game characters can’t beat up on movie characters. For those that don’t know, Avatar awards are items you earn in a game for you Xbox 360 Avatar to wear, hold or play with. Left 4 Dead 2 is getting some for 360 gamers to enjoy. Kotaku has a small list of those awards. I’ll just let the director, George Miller, do the talking. He seems to be doing a lot of casting work, and getting things ready for filming. I’m glad he’s taking the movie seriously and putting some effort into it. The movie has a $100 Million budget and will be shooting in various locations in Australia. 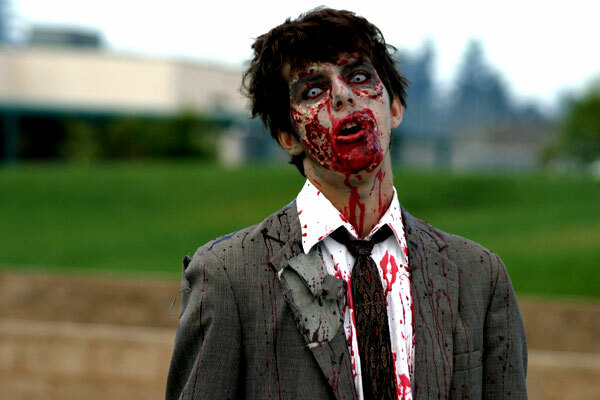 Zombie punched in Iowa while ordering food? Some more zombie news for you all. A man in Iowa was punched in the face while ordering food. Why does this involve zombies? The man that was punched was called a zombie by another man, then hit in the face. The Zombie-ish victim tried to call the police on his cell phone, but was hit again resulting in a broken nose. The man then ran out the back door of the restaurant, and the victim was taken to the hospital. Whoa whoa whoa..Calm down, put the shotgun away. Zombies didn’t really invade a mall, at least not real zombies. 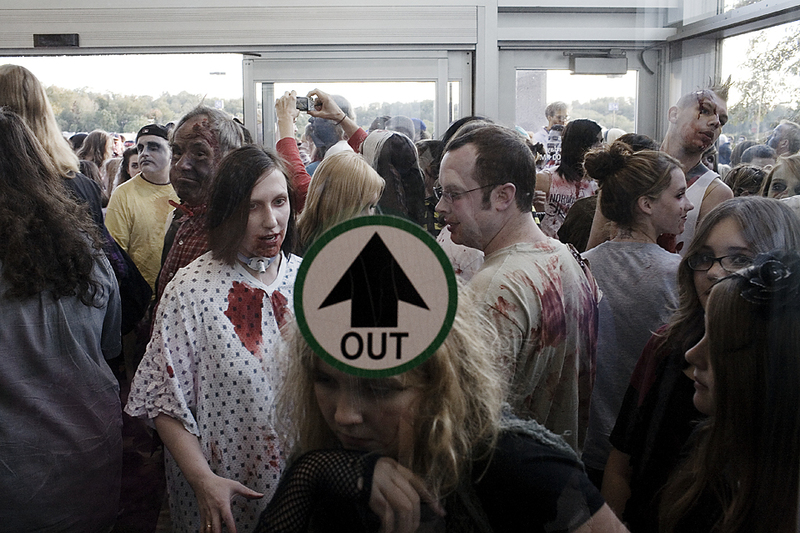 On October 11th a group of 2,000 people dressed as zombies and “invaded” Monroeville Mall. This hoard of the undead shambled through the mall George A. Romero used for his zombie tale Dawn of the Dead. For other zombie fans, that mall is not just a shopping center, but a cultural icon. The Wall Street Journal has a write up of the event along with a great gallery of images from the invasion. Don’t worry, you’re getting a second chance! Now I know the game is retail right now, so beta doesn’t apply to this. Instead, it’s a free weekend to give Champs a try! This Halloween weekend everyone can play for free. The offer only lasts from 10:00 a.m.October 30th to 10:00 a.m. November 2nd, pacific time. Jump over to the Champions site and sign up and download the client. With the huge success from District 9, another production company has given Blomkamp another shot at the screen. 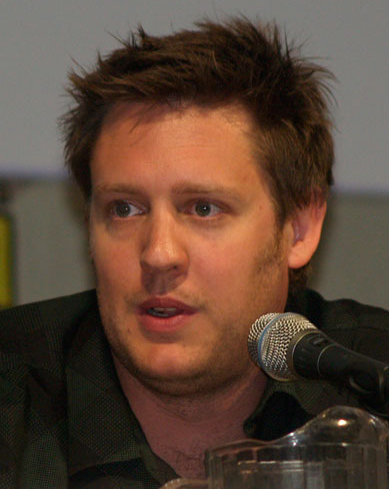 Media Rights Capital is committed to another Blomkamp movie for 2012. This new movie is NOT a D9 sequel. 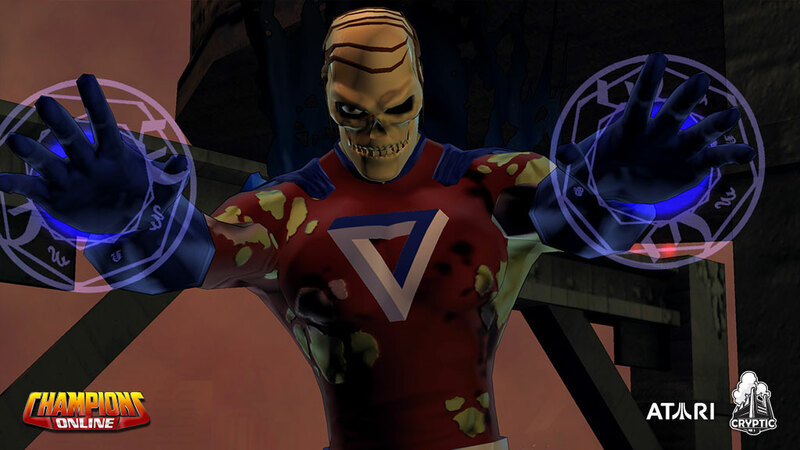 This project is a standalone piece, but the sequel will be the next thing the director/writer works on. Personal Note: Is Nick running the show? A lot of stuff has been going on recently. School has doubled if not tripled its work load on me. So trying to juggle employment and school work, along with this shining beacon of internet goodness, is a difficult task. Also doesn’t help that Borderlands has completely taken over my gaming life. So where is everyone else? Haven’t seen anything from the other writers here in a month! A MONTH! Not sure what’s going on there. I will continue the postifications as long as you guys keep reading. Unrelated note, Today is my birthday! Huzzah! Burger King has introduced a 7 patty thick Whopper. The catch is, it’s only available in Japan. How long it will take for Japan to become the fattest nation ever is still unknown. The massive coronary has been on sale for a couple days now, costing about $16 USD. The total calorie count is 2,120, more than you should ingest in one day. Good luck Japan…I don’t think even Godzilla could take one of these monsters and survive. Tags:Artery Explosion, Burger King, food, Heart Attack, Japan, Meat, Seven Layer Whopper, Whopper, Why is my arm numb? Charlize Theron to go Beyond Thunderdome? Some news has popped up about Charlize Theron being the lead female star in the next Mad Max 4. No word yet on what role she will be playing. Related news, Tom Hardy has also been mentioned as appearing in the film. Also, no news on what role he will be playing or if he is confirmed to the movie. Director George Miller is being very hush hush with info on this movie. Hopefully he has something good planed. Does anyone else think that the animation directors over at Valve need to make feature length movies?